AN infrared scan will be conducted today to look for unidentified hotspots in the bushfire that has been burning at Mt Cullen near Lake Gordon for the last two weeks. 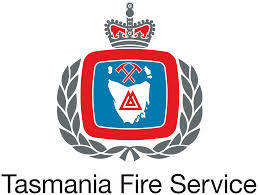 At a community briefing at Maydena last night, Tasmania Fire Service community liaison officer Peter Middleton said there may be small amounts of smoke today but there was still no threat to the Upper Derwent Valley town. Mr Middleton said firefighters were working their way around the edges of the fire, with a particular focus on the southeastern corner. He said the fire was believed to have been started by a lightning strike on or around January 13 and had now burnt an area of 4060 hectares. Resources deployed yesterday included seven helicopters, some of which had come from Queensland and New South Wales. Also in use was a specialist aircraft that can scoop water on the run. On the ground, firefighters are engaged in back-breaking manual work in remote areas. Mr Middleton said the Mt Cullen incident was the worst of 11 fires currently burning in the remote South-West. Despite the flooding rains experienced in the state's North and East last week, very little had fallen in the South-West. "The stark reality is that there has been less than 1mm of rain on the fireground and it is the same all the way up the West Coast," he said. 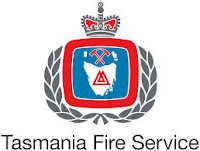 Gordon River Rd remains closed beyond Maydena but Mr Middleton said the Tasmania Fire Service was working closely with stakeholders to minimise disruption. Beekeepers have been escorted to their hives and service vehicles have been allowed through to Strathgordon when conditions allowed. Log trucks are being allowed into the area. Mr Middleton emphasised that although Gordon River Rd was closed indefinitely, the situation was being assessed on a daily basis and the road would be reopened to tourists as soon as possible. LATEST UPDATE: Fire activity remains low with continuing favourable weather conditions. The northwest corner is now in patrol mode with active firefighting continuing for identified spot fires. Active firefighting continues on the southeastern edge with remote area teams, with aerial support, continuing to work on the fire boundary. Crews continue to make progress with consolidation of containment lines in other areas around the fire boundary. Weather forecast for the next few days should allow operations to continue and see little change in the fire boundary. People are asked to remain informed as conditions can change. For safety reasons the Gordon River Rd is closed at Maydena and will remain closed until the fire is contained and deemed safe.